This past Friday, the 14th of April, our team from Law Week Colorado participated in Top of the Rockies, a contest sponsored by the Society of Professional Journalists. The event recognized the best writers and creators from around Colorado, Utah, New Mexico, and Wyoming and their work from the past year. Our team from Law Week Colorado was honored with various awards, and we are very excited to tell you about them! Doug Chartier took home second place in News Feature and first place in Enterprise Reporting . Tony Flesor took home second place in General Reporting and Hannah Skewes was honored with third place in Enterprise reporting. 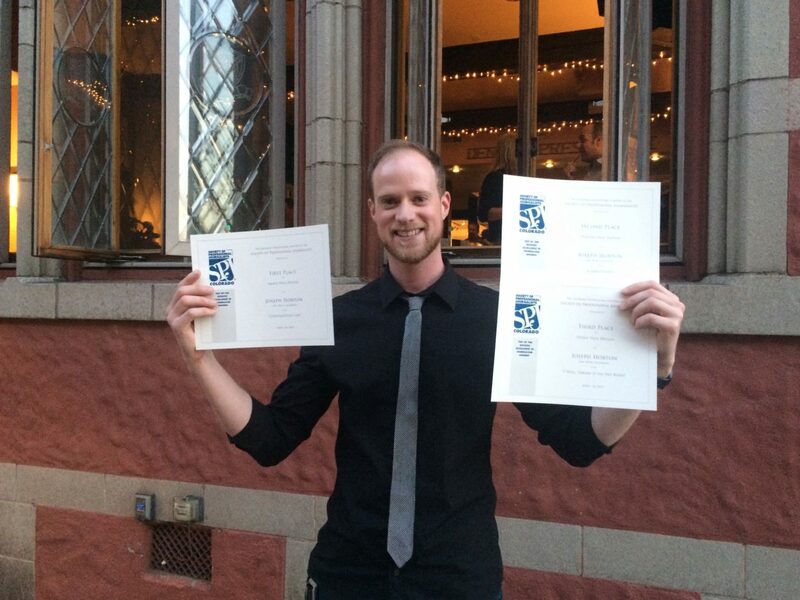 Finally, Joseph Horton from our Design Team took home three awards for his work on Law Week Colorado: first and third place for front page design and second place for Feature Page Design. Please join us in congratulating our very talented team! We look forward to seeing them succeed more and more every year.